The happily ever after continues for Unexpected couple Laura Barron and Tylor Strawmyer! 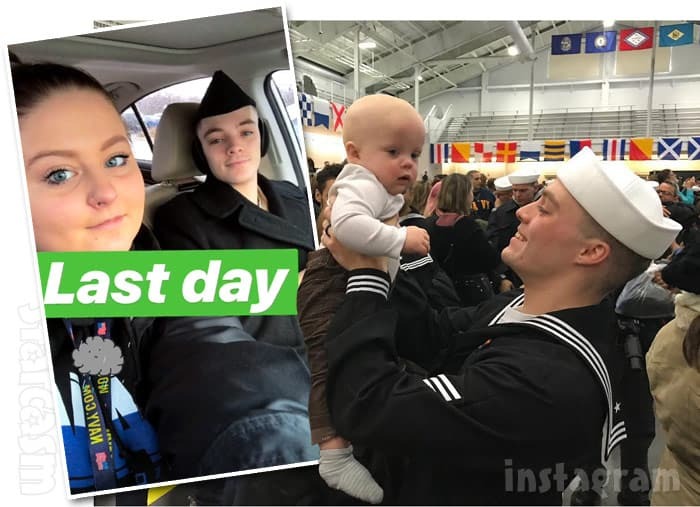 As we were the first to report in late September, Tylor joined the Navy and had just left for boot camp — two months after the couple got married. Tylor completed his eight-week boot camp stint last week, and Laura made the trip up to see him after graduation. “So proud of my sailor! 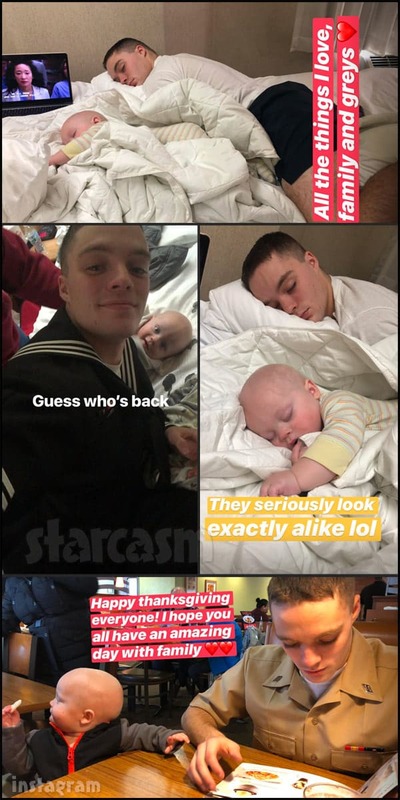 So proud to be a navy wife?” Laura wrote along with the photo of Tylor holding Lucas at the top of this post. Thankful for everything in my life. My amazing wife. My motivated and supportive brothers. My mom and dad. All my other siblings. My father and mom in law. My brothers, who I may not have seen for a hot minute but who stick by my side. And the Navy. I’ve only been in for 8 weeks. But I love this lifestyle. I can’t wait to get to where I want to be with this career and show all those people out there that you can get somewhere while being a young parent. Yes sacrifices have to be made but that’s the price of having those things that you’re thankful for. QUESTION: How was your Thanksgiving? LAURA: Tylor and I wish we could’ve been with our families, but him and I and Lucas had an amazing Thanksgiving! QUESTION: How are you and Tylor? LAURA: I feel like our relationship has never been better than it is right now. We’re in such a good place. I just love him so much ugh. QUESTION: Why did you not take his last name? Just curious not judging at all. LAURA: His recruiter said to wait until after he goes to bootcamp. I just haven’t done it yet. QUESTION: Does Lucas still know Tylor is his dad because he has been gone? LAURA: Yes and he says “dad” all daaaay long lol. As far as a potential Unexpected Season 3, Laura said she hadn’t heard anything. Her co-star Emily Noack says she has been invited back for another season, but they are waiting to see if her daughter Aria’s dad Diego Reyes is willing to sign on — which he has adamantly sated in the past that he is not willing to do. I assume that means there will be another season of the show, but it could be that TLC and producers are still trying to decide. If you want to keep up with Laura, be sure to follow her on Instagram and YouTube! She is VERY open with her fans, and willing to answer just about any question you might have. 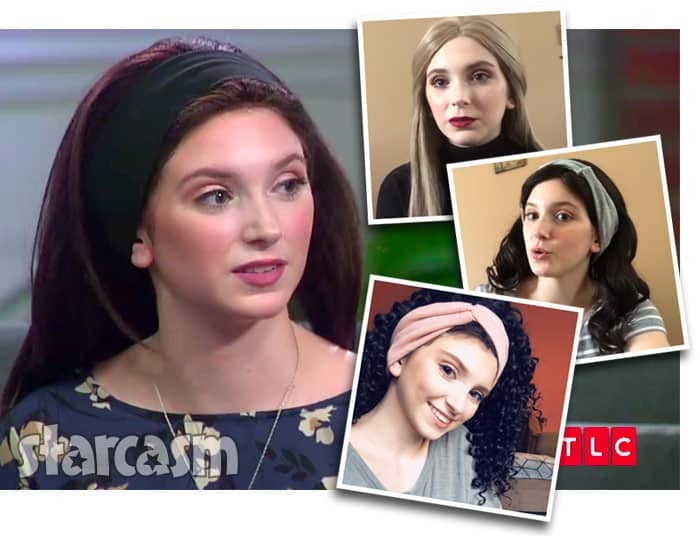 UNEXPECTED Why is McKayla wearing a wig at the Tell All?